Range includes twin-cylinder powered Maxi scooter! Flagship maxi-scooter gets a twin-cylinder engine producing almost 40PS of power! Taiwanese two-wheeler manufacturer, SYM Motors showcased its range of scooters and motorcycles at this year's EICMA Motor show, including three brand new models - MAXSYM TL, JOYMAX Z and HD 300. Starting with the flagship, Maxsym TL the company says its design was inspired by a superbike. We'll let you be the judge of that. Nonetheless, the maxi-scooter does look attention-grabbing with its sleek and sporty design. It features a uniquely shaped front-end design, which also house LED lights position lamps. Being a proper maxi-scooter, its powered by a 465cc twin-cylinder, liquid-cooled engine which churns out 39.97PS of power and 41.2Nm of torque, mated to a CVT transmission. While the Maxsym TL looked like it has time traveled back from the future, the Joymaz Z opts for an imposing maxi-scooter design suitable for our times. But that doesn't mean it looks any less imposing, especially with its sharp lines, bulbous body panels and a large windscreen at the front. 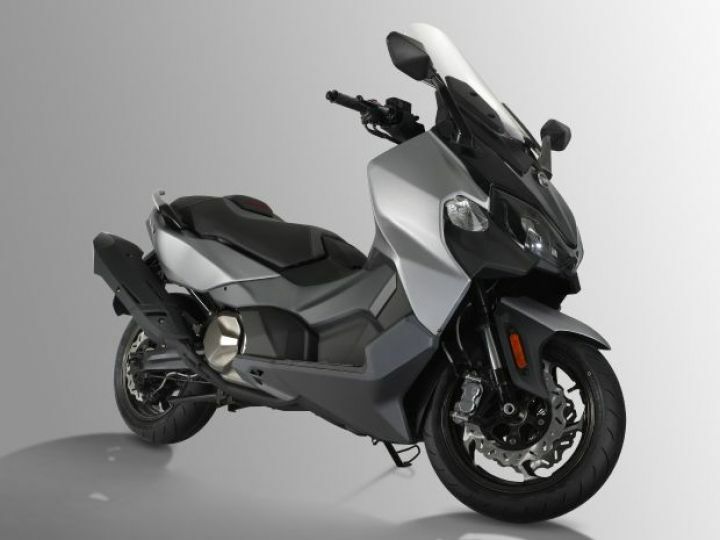 SYM offers the scooter in three different single-cylinder, liquid-cooled engine displacements - 124.9cc (14.2PS/11.8Nm), 249.cc (21.4PS/23.5Nm) and 278.3cc (27.32PS/27.3Nm). Coming to the less flashy model of the lot, the HD 300 features a conventional scooter design like the Honda Activa 5G and the TVS Jupiter. Standout elements include an LED headlamp, chrome finished cladding around the headlamp and between the LED indicators on the front apron. The coffee coloured leather seat adds a premium touch to it as well. While it may look like any road-going scooter, it features a 278.3cc, single-cylinder engine, which makes 27.05PS of power and 25.5Nm of torque. Considering their premium pricing, it is very unlikely that we'd ever see these scooters in India.